Knopf Books for Young Readers, 9781524720841, 352pp. Rainbow Rowell’s Fangirl meets Jenny Han’s The Summer I Turned Pretty in this contemporary YA about what it means to be a fan—and what it means to be a friend—when your whole world is in flux. 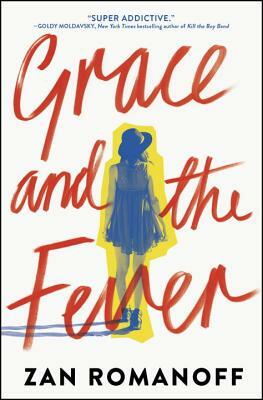 From the author of A Song to Take the World Apart, Grace and the Fever is a heart-clutching reminder of what it’s like to fall in love—whether it’s with a boy or a boy band—and how difficult it is to figure out who you are after you’ve fallen out of love again. Zan Romanoff fell in love with Hanson when she was ten and has been a boy-band fanatic and teen-idol obsessive ever since. She lives and writes in Los Angeles; this is her second novel. Visit her at zanromanoff.com or follow her on Twitter at @zanopticon.